The Frederick family has been farming since the early 1800’s and has been at Temple Farm since 1937. 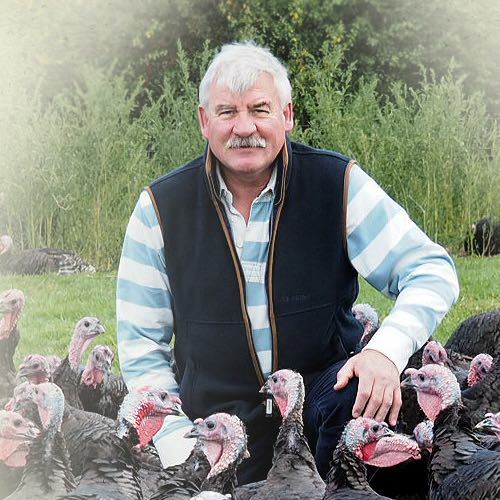 Over the years the farming business evolved from a traditional mixed farm to one that specialises in the traditional and seasonal production of free-range, slow-grown, Christmas turkeys for over fifty years. Chris and Nick Frederick are the working partners of Temple Farm Turkeys and the third generation of the family producing the same bird that was sold locally, half a century ago. Subsequently, over the past thirty years, our “succulent and tasty” white and bronze feathered free-range Christmas turkeys have built a fine reputation nationally. As members of the Traditional Farmfresh Turkey Association (TFTA), we produce only top quality “Golden Turkeys” raised in the old fashioned way, to their strict growing standards, being dry-plucked by hand and game-hung for at least seven days.